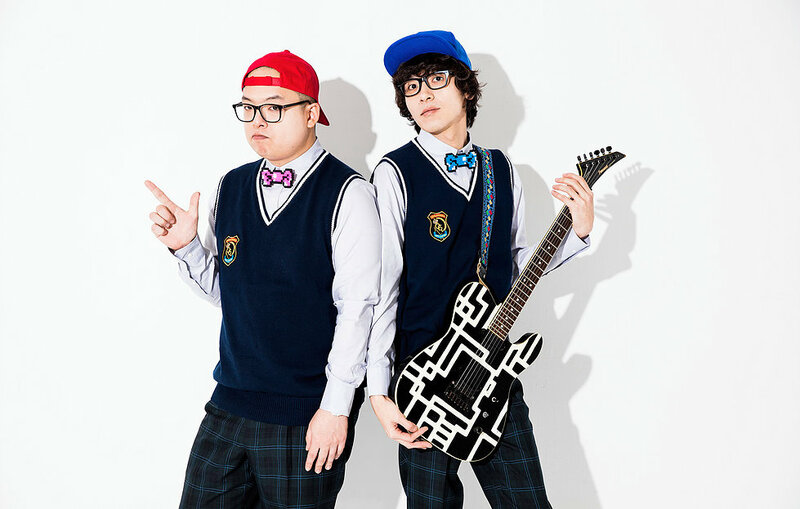 ONIGAWARA is a super J-POP duo formed by Satifour Takeuchi and Shinya Saito. They have been active since 2013, releasing two self-produced CDs at the venues and online. The second compilation “Pop Music ha Boku no Mono” was also distributed at Tower Records and Village Vanguard since January 2015 and sold well. In April, they released an EP titled “Let’s Dance! !” exclusively on OTOTOY, charting top in weekly chart. In September, they released a debut full album in September, titled “Everybody OK?”. They are neither an idol nor a band. The main charm about their unique music is in their performance that makes everyone laugh. Their shows at events and festival were mostly full house sometime with entrance restriction, such as “SANUKI ROCK COLOSSEUM”, “SAKAE SP-RING”, “Mihodai Yatsui Fes” and “MINAMI WHEEL”. Their adding more fans called “Gawarer” with their laugh-bomb stages.